These pages contain key information about the schools that existed in individual Leicestershire villages between 1818 and 1851. This is an ongoing research project, and details from more villages will be added as work progresses. In time, the information contained in here will be expanded, and the entries will form the basis of parish histories which will be published in the Victoria County History of Leicestershire. You can search for a village by name (click on the relevant letter in the red alphabet strip below), or through our interactive map. We also have a series of three research guides for those who want to trace the history of the schools in their own town or village. 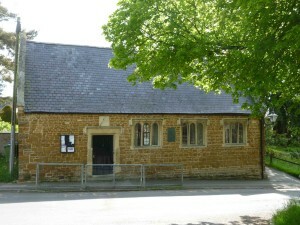 From 1860 most villages will have a range of source material available at the Record Office for Leicestershire, Leicester and Rutland, The National Archives, possibly at The Church of England Records Centre and perhaps also at the school itself (or a successor school). Before 1860, we are mostly reliant on a series of national surveys for information, and the main surveys those used for this website are listed below. Our three research guides provide more information about researching the history of a Leicestershire school before 1833, between 1833 and 1902 and since 1902. National Society …, Result of the returns to the General Inquiry made by the National Society, into the state and progress of schools for the education of the poor … during the years 1846-7 (London, 1849). The National Archives, HO 129, 1851 Ecclesiastical census.